As you likely know, transition strips are designed to create safe transitions between varying surface types and levels. This adds visual appeal and increases safety by reducing the chances of trips and falls. 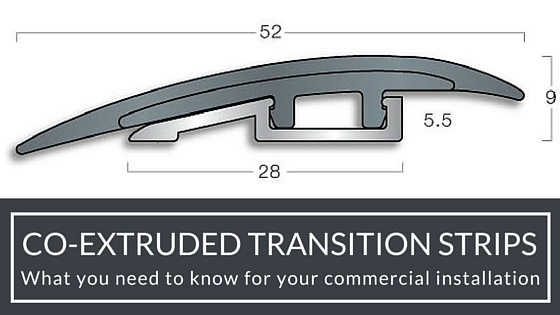 There are many types of transition strips on the market. 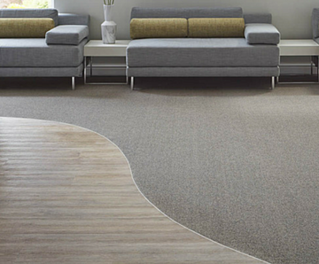 The one we will address in this article is the Clip-Top range by Gradus. While Gradus Clip-Top transition strips are not for everyone, they are worth considering if you are looking for a long-lasting product. The main difference between most products on the market and those made by Gradus is that Gradus transition strips are coextruded. What are coextruded transition strips? Coextruded means that the transition strip is made with a combination of flexible and rigid PVC materials. Specifically, the top part is made of a flexible PVC that will conform to your floor. On the bottom part, the transition strip is made of unplasticized PVC (uPVC), which provides a rigid base. The uPVC on the bottom, as well as an additional aluminum base, add rigidity that will not shrink or expand. These transitions are very durable, making them ideal for high-traffic, frequently cleaned locations like schools. What does this mean for your flooring installation? The last thing you want is to receive a call from a customer because of shrinkage or expansion of transition strips that you installed. What we love most about the Gradus products is that they offer a secure, long-lasting, transition strip. If you have more questions about coextruded transition trips, download the digital catalog below or contact us directly.